By Nick Mafi for Architectural Digest. In an ongoing effort to record the ever-changing urban landscape of Brooklyn, New York, photographer Kristy Chatelain began capturing the gentrification of neighborhoods such as Williamsburg, Greenpoint, and Dumbo in 2007. Several years later, she returned to the same locations to witness how they had transformed, chronicling the shift through her camera's lens. 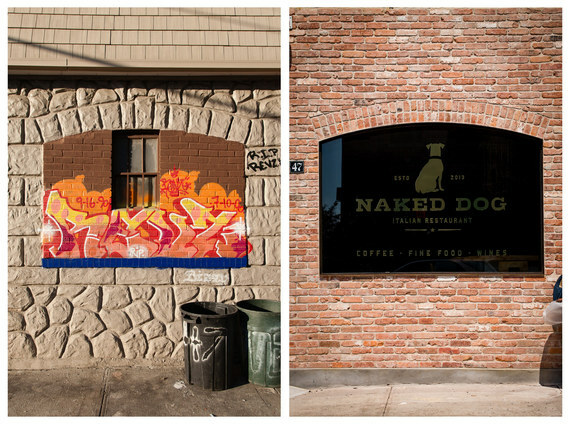 "I didn't initially conceive of it as a before-and-after project. 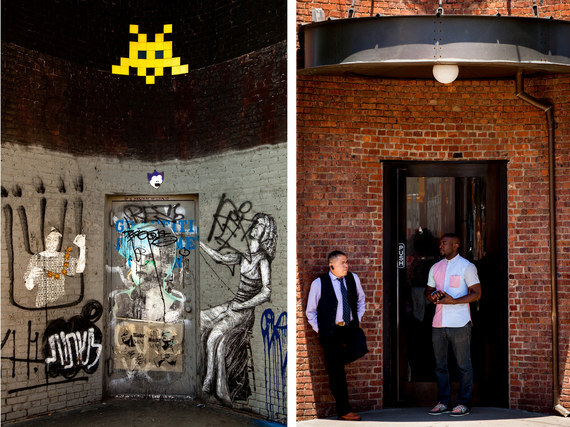 I knew Brooklyn was changing, and I wanted to document it because I loved the area and found the rapid change fascinating," Chatelain says. "The photography evolved as the neighborhood did." She continues to detail the changes in Brooklyn, and she has aspirations to visit Germany to catalogue the differences there since she last visited a decade ago. 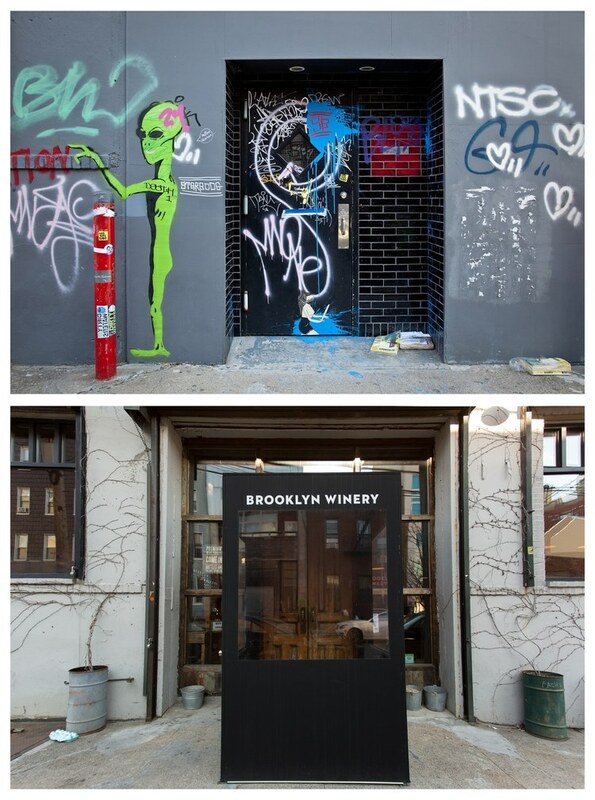 Pictured here is a door on Wythe Hotel, 2009 and 2014. 193 Plymouth Street, 2009 and 2015. 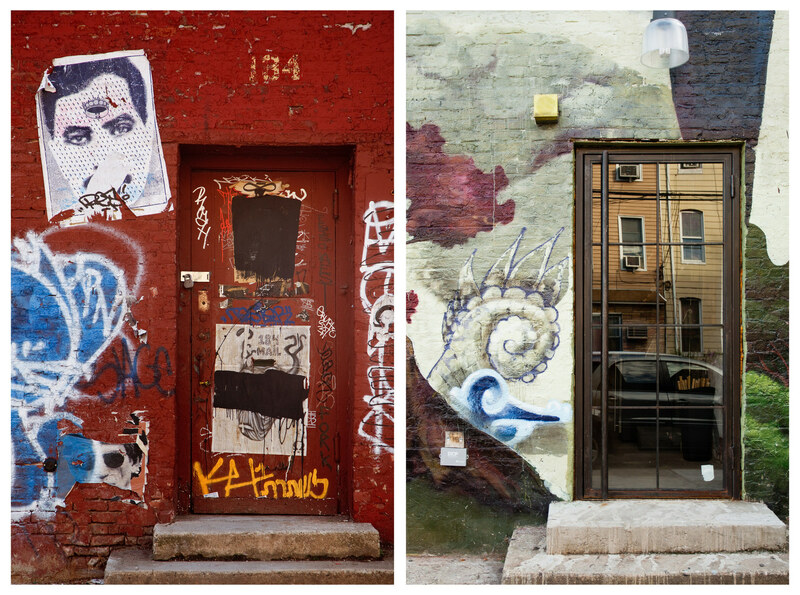 Metropolitan and Kent, 2009 and 2014. 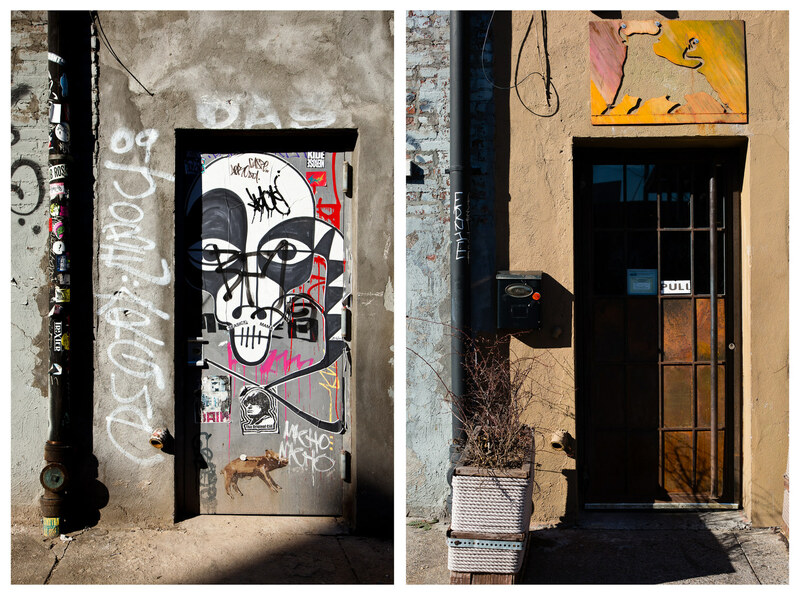 Water Street, 2009 and 2015. 47 Java Street, 2009 and 2015. 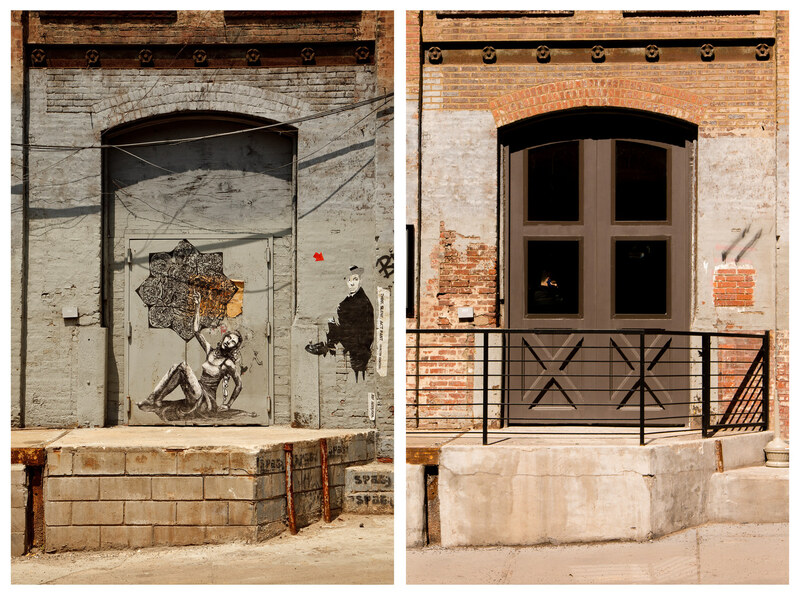 192 Berry, 2009 and 2015. 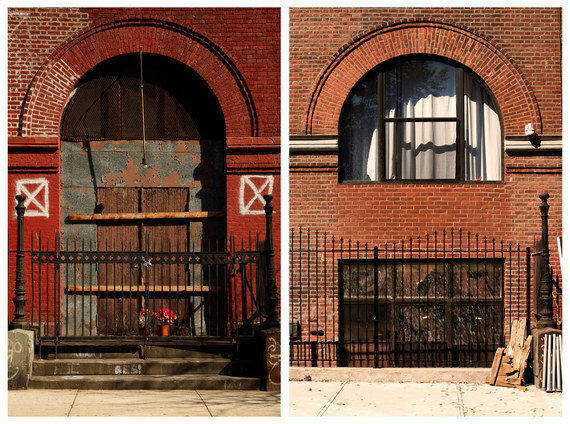 125 Eagle Street, 2009 and 2015. 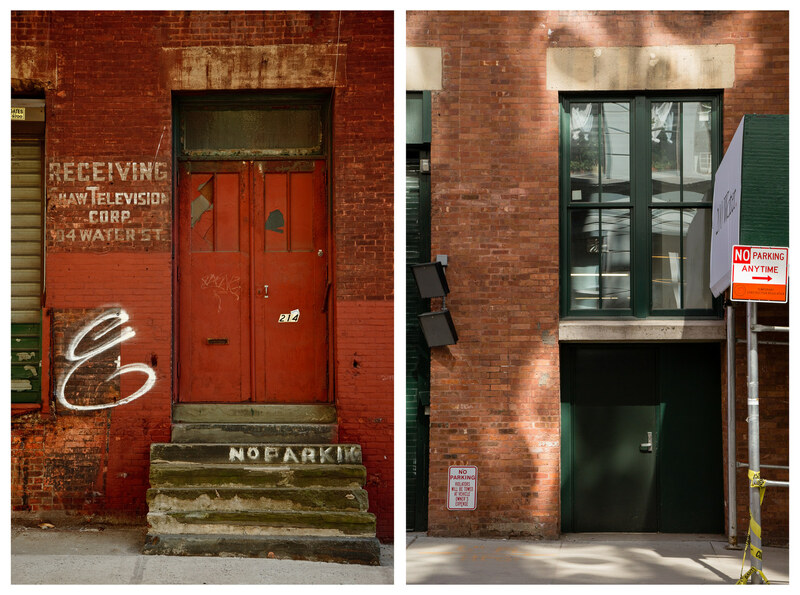 134 North 8th Street, 2009 and 2013. 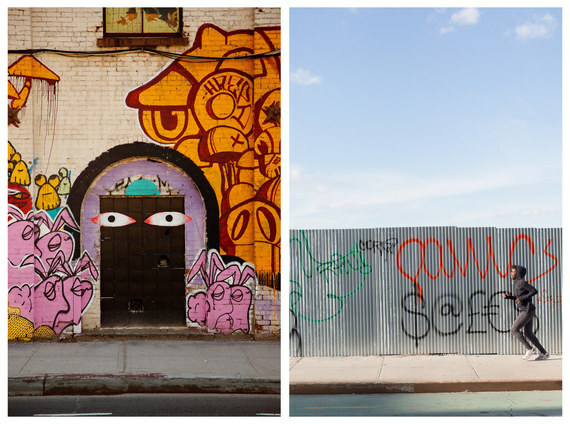 33 Havemeyer Street, 2009 and 2015. Click here for even more photos of Brooklyn's before and after.